Hi again! 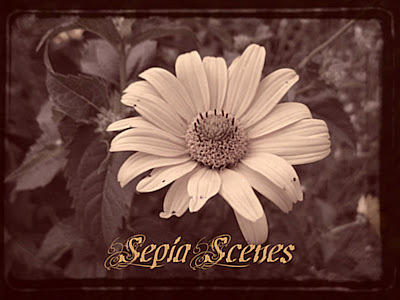 Welcome to SEPIA SCENES! Today I'm taking you to the beach. Yes, the beach - Robert Moses State Park on Long Island. It was a terribly overcast day so I thought I'd try sepia-izing my photos to make them more interesting. to get the results you see below. I hope you'll sign Mr. Linky and leave a comment. And don't forget to visit your fellow participants. my Sepia entry is up, by the way. Happy Wednesday! I love the Beach!! The first pic is fantastic, How did you do the second?, nonetheless its an interesting angle. oooh...cool! i like how the house is still bluish despite the sepia. nice composition. its like a story is ready to happen somewhere in the photo. These photos are quite impressive with that extra toning and unusual perspective! Well done! Ooh! I really like that second one a LOT! And the selective color in the first one adds a lot of interest... and really makes the house stand out. Hi, Mary! I love the perspective and tinting on these and I love PS3. It's really simple to use for the sepia tinting. It is a lovely end result Mary! I feel very much like I would want to be at that beach. Isn't it nice when you can give a photo a new life by making some creative changes? I like the non-monochrome sepia look - very cool. Oh I like that graduated tone. Lovely photo too. 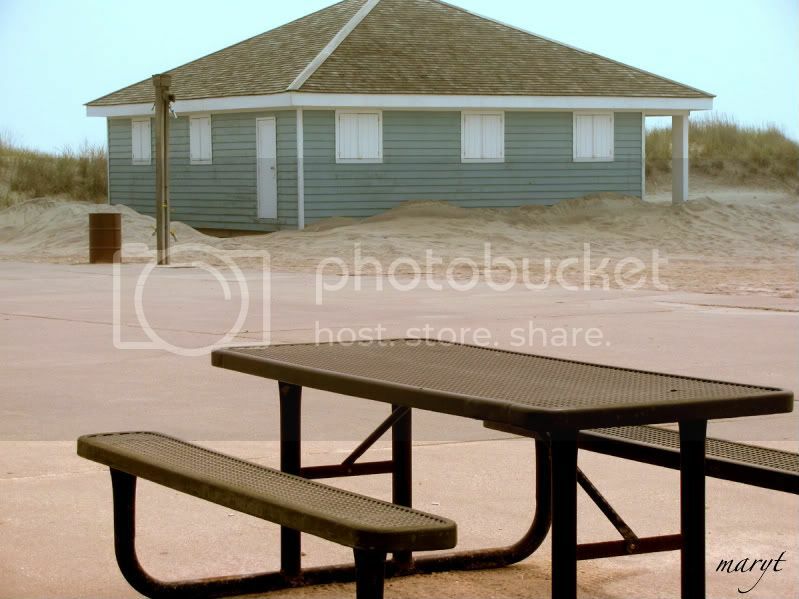 I really love the angle of the second picture, Mary, with the grid-picnic table top. I was playing with different effects on Picnik for today's posts - one at Purrchance To Dream and then the 'missing' one from It's A Blog Eat Blog World has been replaced with one I like even better! Wow - that first one especially is very effective. I am fascinated how you get to leave the one colour on something. Great work and thanks for hosting. 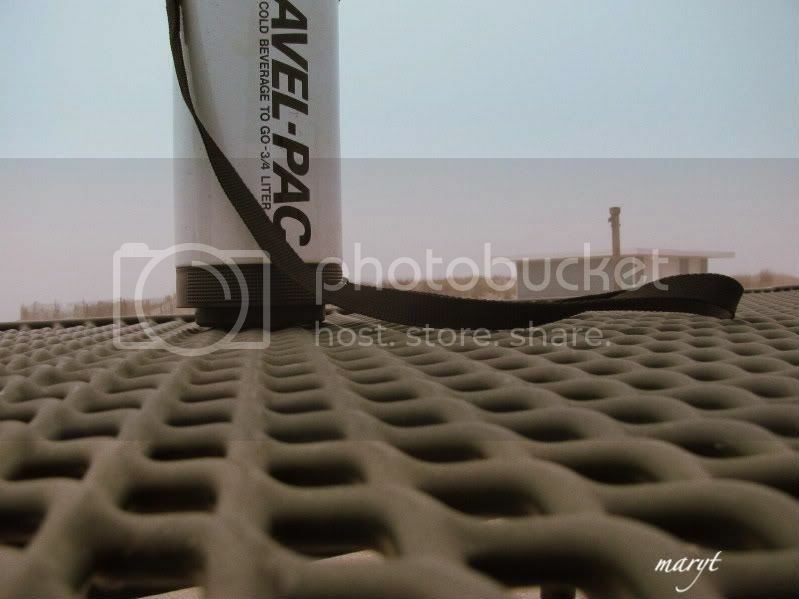 I think I'm addicted to editing photos on Flickr/Picnik (someone gave me a premium upgrade as a gift!) ~ so I did another Sepia Scene for House Panthers. This one is a little freaky, but cool! This is my first visit to the beach this year. Thanks, I enjoyed imagining the sand between my toes. Oh, I love that first picture! Beautiful colours and sepia. Sepia and sand - your monochrome Moses scene looks nice. Overcast is a sort of grau sepia, but highlighting in sepia is your specialty! I love the marriage between the two! Beautiful shot, just teasing us by not showing the water. Love the photos and great job on sepia. I love the blue in the beach house. I've got to experiment a little and learn to do more with photo shop than just convert to sepia. You inspire me. Hope you can stop by to see my sepia scene Thanks! Well done, they are great! I totally love the first one. I really like the blue on the building and the sky. Makes the sepia stand out! Mine is posted. It's at my place, Sherrie's Stuff. http://sherrie-plummer.blogspot.com/2009/05/sepia-scenes_14.html Have a great day!! Here in Sweden we have some time to left before it is beachtime - enjoy, all of you who can!